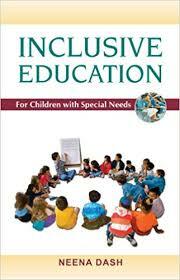 Educating Children with Special Needs research papers examine the programs and theories, such as inclusion classrooms, for educating special needs children. Paper Masters believe in helping students be the best they can be. Our topic suggestions, like the one you see here on Educating Children with Special Needs, help point you in the right direction with your research paper. We suggest starting out your paper discussing examine the programs and theories, such as inclusion classrooms, for the education of special needs children. Educating children with special needs has become an issue of great concern for many educators and administrators. Because inclusion and inclusive classrooms carry with them a number of inherent problems, many within the educational arena are attempting to streamline the process of educational inclusion. Included among these efforts are the committees and programs that have been designed at the early childhood and primary grade level to help parents, children and educators identify the best possible solutions to one of educations most difficult dilemmas. A strong advocate in this effort is the National Association of School Psychologists. Many of the committees and programs that have been developed over the past several years are a direct result of legislation passed by Congress in May of 1997. This legislation, known as IDEA—Reauthorized Individuals With Disabilities Education Act—was designed to strengthen academic expectations and accountability for the nation’s 5.8 million children with disabilities and bridge the gap between what children with disabilities learn and what is required in regular curriculum. The act mandates that all students, regardless of disability receive free and appropriate education in the least restrictive environment. The committees are responsible for evaluating information presented concerning a child and determining eligibility for special education programs and/or services to change the history of special education. Multicultural Lesson Plan Research Papers look at an example of how to order an education research paper on a lesson plan format for a pre-school setting. Special Education Strategies Research Papers discuss the strategies used to accommodate children with special needs. Special Education Policy research papers discuss the policy that enabled all children, regardless of their mental, physical, or emotional disabilities, access to an education.